I love eating in New York because there is so much diversity of good food all so conveniently located. Even if you are on a budget, there is no reason to eat badly in this culinary metropolis. 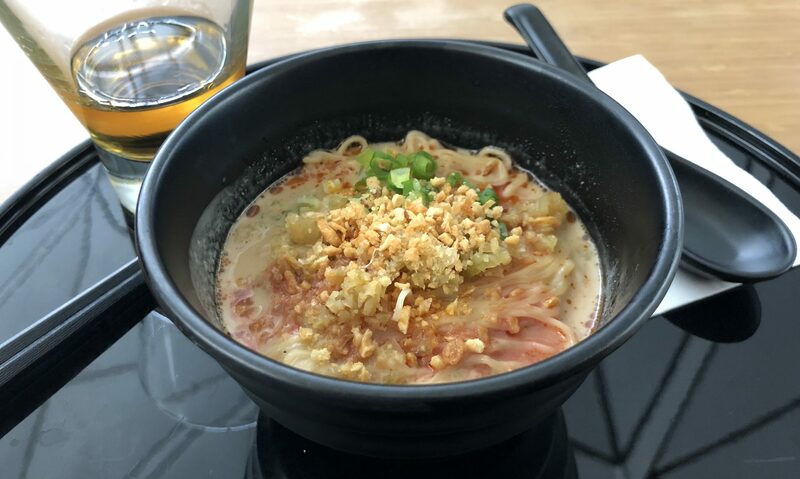 I love LA dining for the same reason, and I have a difficult time finding food in NY that I cannot find the equivalent of back home in the City of Angels. Bagels are the one thing I’ve found without match. In recent years, there have been NY-style bagel shops that have opened claiming water filtration systems, ovens, and all manner of gimmicks to match the classic NY bagel, but none have done it. And the most embarrassing part is that in NY the bagel shop is a neighborhood institution – everybody has a good one just around the corner. 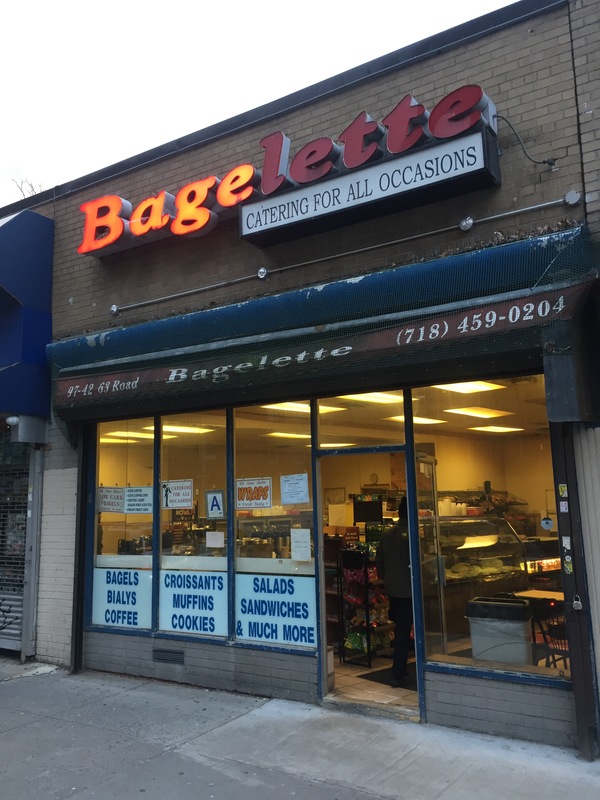 All this means that every time I visit the in-laws in Queens, I must stop by the local bagel shop, Bagelette, for the best bagels I’ve ever had. You walk into this modest storefront off of Queens Blvd and you’re greeted with the smell of fresh coffee while a line of hungry locals are chatting it up with the proprietor and his staff, often in Yiddish. 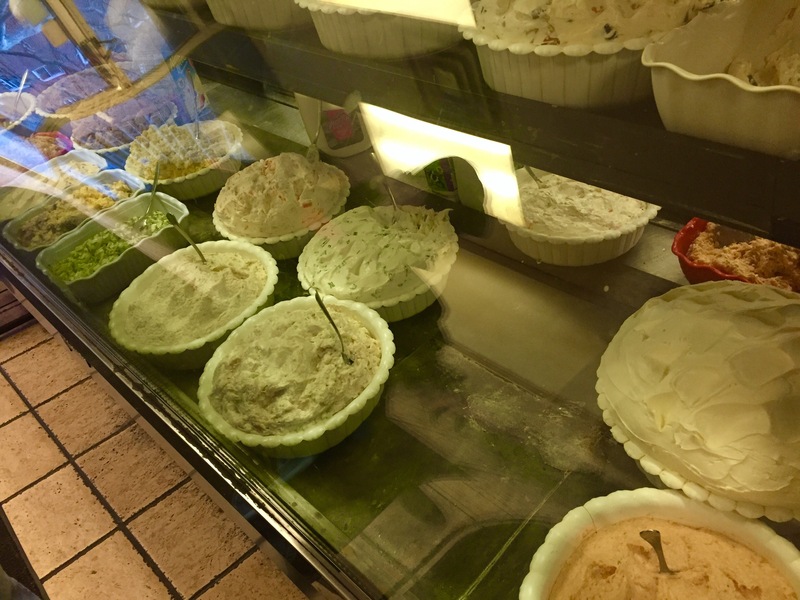 The deli case boasts overflowing tureens of house-mixed smears, and their Kosher certification is proudly showcased at the center of the counter. In one corner is a small pastry case that goes mostly ignored, and behind the counter are baskets of the glorious gluten bombs. I have a regular order here, a toasted cinnamon raisin bagel with cinnamon raisin smear. The bagel is a beautiful sworl of tanned bread and dark cinnamon streaks that would make a cinnamon bun jealous. The exterior is a perfect crisp, something I’ve never found in LA – just enough that you can hear it as you bite, but not enough to be dry or leave shards in your mouth. What’s also impressive is that the texture transitions seamlessly into the chewy interior. This isn’t a bread-like crust layer that could be peeled off. It’s a perfect integral part of the bagel. 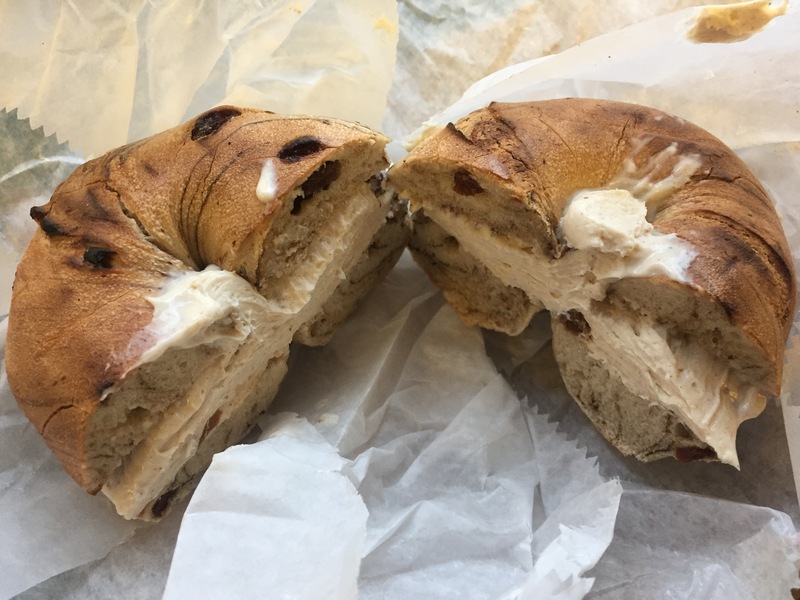 That leaves us with the smear – a veritable mountain is sandwiched into the bagel, ensuring there isn’t a single bite that isn’t oozing with creamy cinnamon goodness. Raisins and large chunks of walnut provide bursts of texture and flavor in every morsel. The best part? 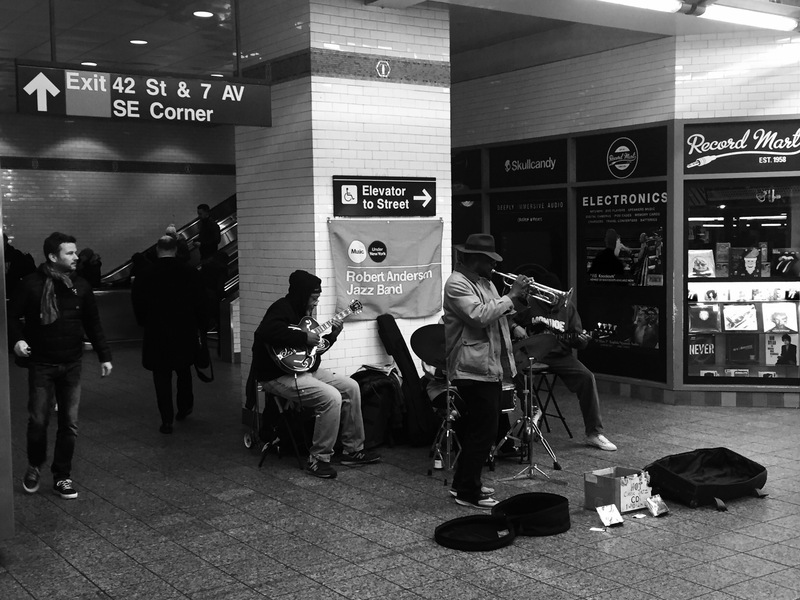 There’s just enough of a walk between Baglette and the subway so that I can scarf one down every time I head off to the R train to catch a jazz concert in Times Square.